This week across North Star Academy we reflect on the legacy, the life and the wisdom of Dr. Martin Luther King, Jr. His commitment to justice and equality for all people inspire us as educators. Our aim is to ensure that all children receive a high-quality education, the preparation to enter and graduate from college, and the ability to pursue a life of their choosing. It is, we believe, a human right. As you reflect this week on the legacy of Dr. King, how far our society has come, and how far we have to go, know that a great education opens and unlocks doors. In Newark, now is the time to choose a school that will open doors for your child, and set them on the path to realize their dreams. 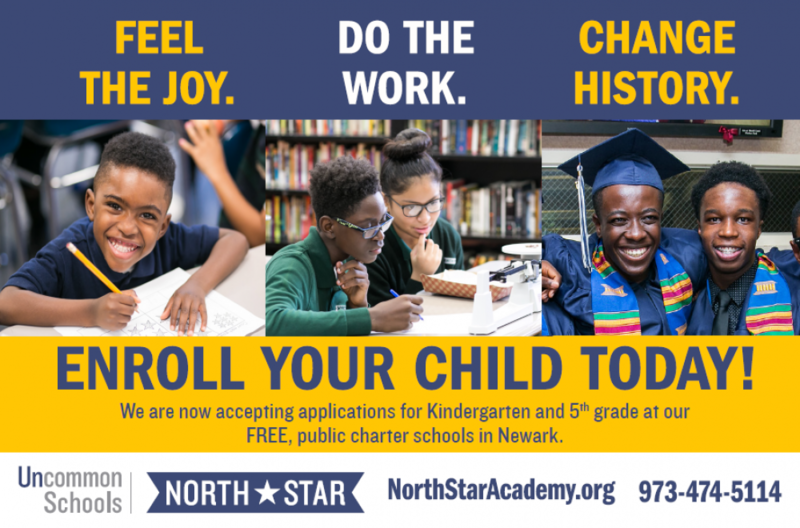 We invite you to apply to North Star Academy before the February 6th deadline. To learn more, take a tour, or submit your application, visit us online. This entry was posted in Academic Rigor by uncommonnewark. Bookmark the permalink.